Transmission Repairs|Brandon, FL :: Scott's Automotive Inc. Earlier manufactured transmission systems of vehicles that do not have computers usually experience problems in shifting that are caused by defects in the throttle cable. Such damage is not due to normal wear and tear. It could only be caused by accidents or by improper adjustments made during earlier repairs. This is one of the reasons why you should only patronize trustworthy auto service shops for all your car repair needs. Some vehicles do not have a throttle cable. They have a vacuum modulator instead. Some vacuum modulators are designed in such a way that problems are often fixed simply through an adjustment screw. Before checking on the vacuum modulator, make sure your mechanic first checks and rules out vacuum leaks. He should also ensure first that the engine is running efficiently. Some problems that are often thought of as transmission related are usually discovered to be actually engine related instead and can be taken care of by engine tune up or engine repair. Some transmission repair jobs involve parts replacement. Even if you have to replace parts, though, you still spend less if this can be done without taking the whole transmission system out of the vehicle. You can access several control and electrical parts, for instance, by merely removing the oil pan. Some auto service shops, however, refuse to give job warranties for such external transmission repairs. They argue that they cannot guarantee the absence of other possible transmission problems in internal areas that they have not been able to check on. You can avoid this problem if you are dealing with a trusted mechanic from a car repair shop with which you have established a long term professional relationship. 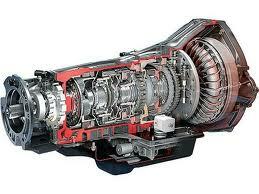 Transmission resealing is required when your transmission system is leaking transmission fluid. You will be warned of this by oil spots on the ground or parking lot floor beneath your vehicle. Leaks springing from external seals and gaskets can be resealed even without taking out the transmission system from the vehicle. Leaks from the front seal, however, can only be repaired by first lifting out the transmission system from the vehicle. Armed with enough knowledge on the various types of automotive transmission repair for your vehicle, you are better prepared to discuss your needs with your auto service mechanic in Tampa. This could also mean considerable savings for you.